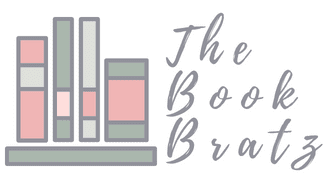 Today on the blog we have a guest review from Amanda over at Give Me Coffee Give Me Books! 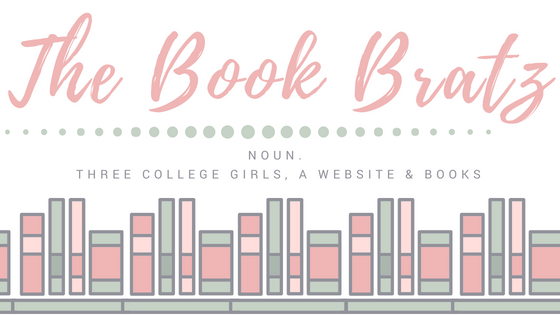 She was kind enough to stop by and review One of Us is Lying by Karen M. McManus and and share her thoughts on it, and we couldn't be more excited! So without further ado, let's get into it! 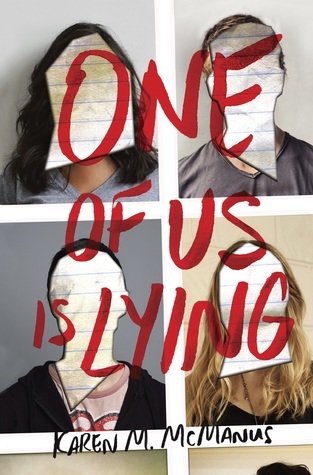 Summary: The Breakfast Club meets Pretty Little Liars, One of Us Is Lying is the story of what happens when five strangers walk into detention and only four walk out alive. Everyone is a suspect, and everyone has something to hide. Pay close attention and you might solve this. On Monday afternoon, five students at Bayview High walk into detention. Bronwyn, the brain, is Yale-bound and never breaks a rule. Addy, the beauty, is the picture-perfect homecoming princess. Nate, the criminal, is already on probation for dealing. Cooper, the athlete, is the all-star baseball pitcher. And Simon, the outcast, is the creator of Bayview High's notorious gossip app. Only, Simon never makes it out of that classroom. Before the end of detention, Simon's dead. And according to investigators, his death wasn't an accident. On Monday, he died. But on Tuesday, he'd planned to post juicy reveals about all four of his high-profile classmates, which makes all four of them suspects in his murder. Or are they the perfect patsies for a killer who's still on the loose? Everyone has secrets, right? What really matters is how far you would go to protect them. This is the first book I have listened to in years; I usually pass on audiobooks because I don't have a commute anymore and I read so much faster than I can listen to a book. However, I had some Audible credits and decided to give it another go. This book has been really popular in my classroom, so I wanted to see if it lived up to its hype. It did! I loved that the audiobook had four different voices for each of the four characters (and all of them were pleasant). I've read a lot of books told in alternating perspectives lately, and I really enjoyed this one. Each character is so different, very likable, and really easy to become invested in. I loved Bronwyn's need to constantly be doing something, Addy's strong relationship with her sister, Nate's sad backstory and Cooper's kindheartedness. McManus did a nice job of escaping the cookie cutter versions of the stereotypical brain, beauty, criminal and athlete; there was so much more to these characters and I genuinely hoped that none of them were guilty as I heard their stories. There are some swoon-worthy guys in this story. Nate is so much more than just his bad boy image, and Cooper's got a secret that will make your heart oh so happy. The climax! At one point I had suspected who was really behind Simon's death, but I did not see it unfolding that way! And I had honestly given up on that theory by the time the mystery was solved! Well done! I gasped more than once and had to drive around several times in order to finish out chapters. The ending seemed a little rushed, and maybe even a little too Happily Ever After, for my liking, especially after how developed and intense the story was. Overall, I loved this book. It lived up to its hype and has been on my TBR since its release; I just haven't been able to keep it on the shelves of my classroom to snag for myself, so I am glad I turned to an audiobook for this one. If you're up for a good mystery, check this one out! 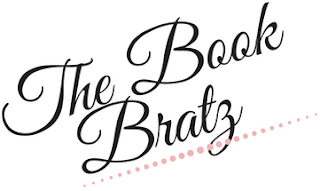 We'd like to once again thank Amanada for stopping by The Book Bratz today to post this guest review. You can read the original review over on her blog by clicking HERE! I see such good reviews for this book. I do hope to read it this year but my TBR is holding me back. So cool that the audiobook had different voices. I actually never listen to audiobooks but maybe I should try it with this book!